AFL administrator Andrew Fagan, and his partner Alana Smith, welcomed their daughter Giselle “Gigi” on August 12 [pictured]. 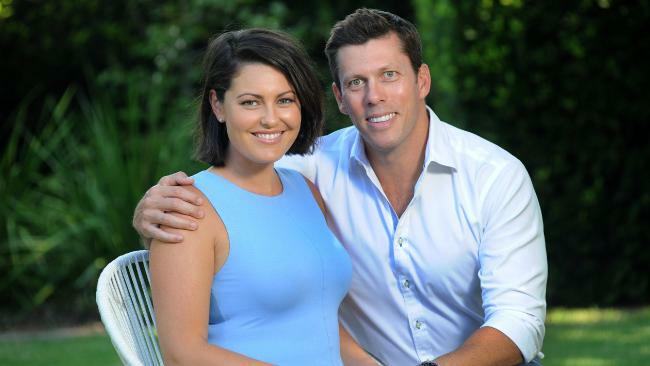 Andrew is the CEO of the Adelaide Crows, and Alana is a former sports reporter for Fox News. NRL footballer Jared Waerea-Hargreaves, and his partner Chelsea Cormack, welcomed their daughter Zahli Rae on August 12. Originally from New Zealand, Jared moved to Australia as a schoolboy, and began playing rugby league in 2009. He has been with the Sydney Roosters since 2010, and has also been selected for the New Zealand national squad, and for the NRL All Stars. NRL footballer Tyrone Roberts, and his partner Brittany Doran, welcomed a daughter named Leilani Blue Tayla late last year. Tyrone is with the Newcastle Knights, and is signed with the Gold Coast Titans for next season. He was selected for the Indigenous All Stars this year. Former A-League footballer Clayton Zane, and his wife Cassie, welcomed their son Harry last year, a brother for Abbey. Zane’s playing career was from 1995 to 2005, and he played for clubs in Australia, Norway, and Belgium. He played for the Australian team, including at the 2000 Olympics in Sydney. He was coach at the Newcastle Jets until recently, and still coaches their youth team. First time I’ve given a “perfect” to all the names; I thought they were all really lovely and had the right amount of pizazz.